Air purifier is often used in our home. Generally, when the air is not good, or the air conditioner is not ventilated, we will turn it on and use it.To a large extent, air purifiers have greatly improved family health, and at the same time, they also make the living environment of the family more suitable for the growth of babies. A.Generally, air purifiers can remove the harmful substances in the air and eliminate the dust, particles, dusts and other substances in the air. These substances are harmful to human body. When air purifiers eliminate them, the air inhaled by people becomes safer. C.Air purifier can remove peculiar smell in the air, such as just decorate good house there is a smell of paint, when using the air purifier, there will be a lot of improvement, including home cooking when the lampblack, or smoke it can effectively filter, release the pure and fresh air, make people breathing more refreshed. However, there are many things to pay attention to when using the air purifier. If it is used improperly and causes damage, its functions and functions will be greatly reduced. Therefore, we should cherish it more when using it. So, what are some tips we can learn? First of all, when you use an air purifier, it depends on the air condition of the day.If the air is completely ok for the day, there is no need to keep the air purifier on. In addition, if you use the air purifier at home for a long time, it is best to turn on the humidifier at the same time, this can prevent brings to the human body as a result of indoor excessive and dry lack water reaction or discomfort. 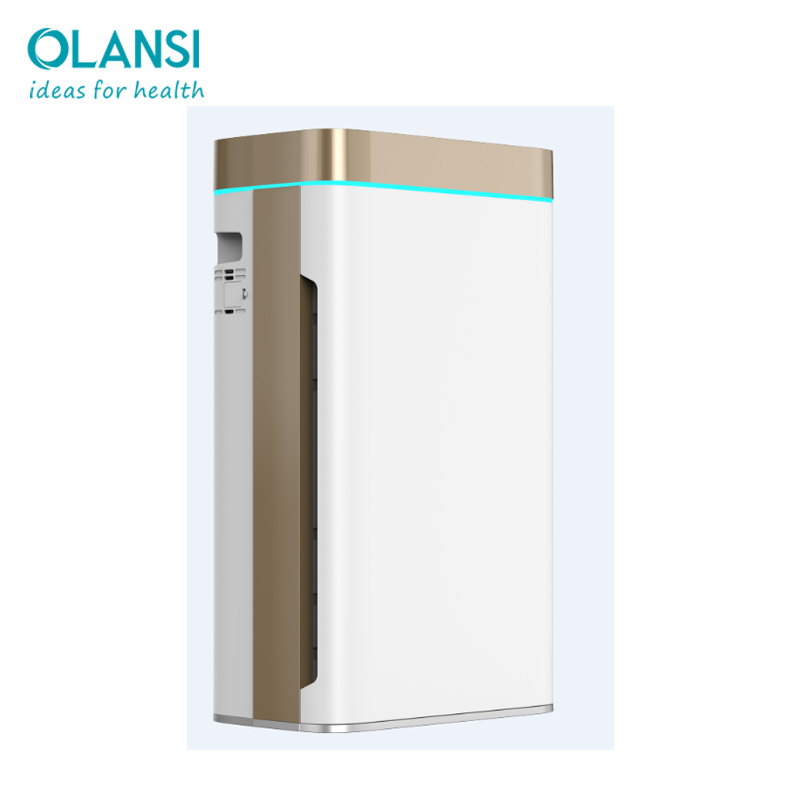 Here Olansi Healthcare recommend to use air purifier with humidifier which is more convenient, you don’t need to buy an extra humidifier, to save space and money. 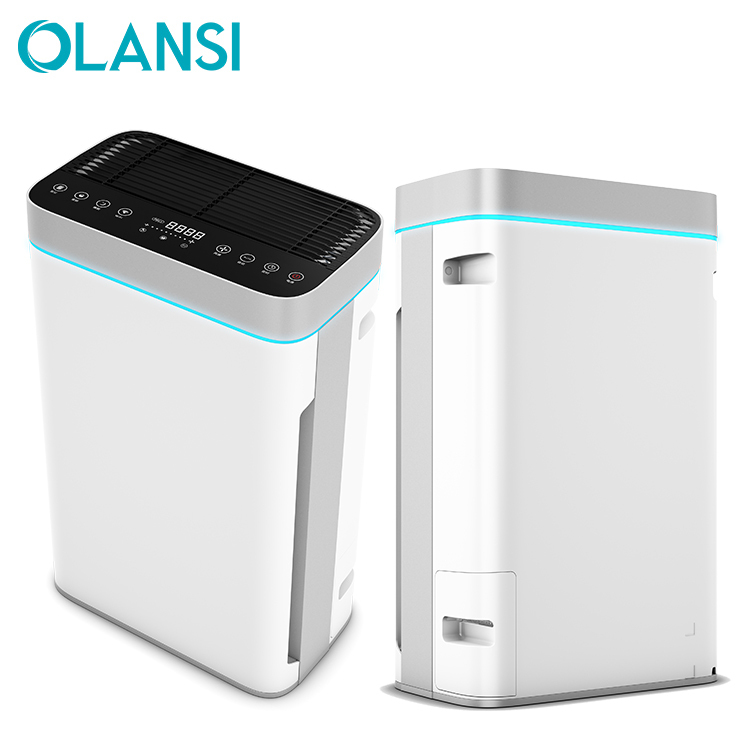 Among the air purifier models of Olansi Healthcare Ltd, there are 3 models with humidification. They are K02, K03 and K08. In addition, before using the air purifier, it is necessary to clean the product to ensure the clean screen and dust collector plate cleanliness.If there is a dirty accumulation, it must be cleaned immediately, do not put it for a long time before cleaning, this may affect the use, and affect the cleanliness of the output gas. Finally, when using the purifier with high efficiency filtration function, please check the indicator light in time. If the indicator light shines, please check the purifier carefully in time and use it after making sure it is correct. If there is no indicator light, the filter element can be directly checked. If the filter element turns black, it must be cleaned. It should be noted that when we carry out the inspection, we must cut off the power supply, can not open the host at will, to avoid electric shock or injury to the human body. In fact, there is a lot to pay attention to when using, the above three points are the most basic and should pay attention to the place. Knowing these tips will make our life easier and more comfortable in the future, and will ensure that we can use it for a longer time. Of course, when using different air purifiers, we should also use them according to the requirements in the specific instructions, so as to ensure the safety of the products in case of problems. 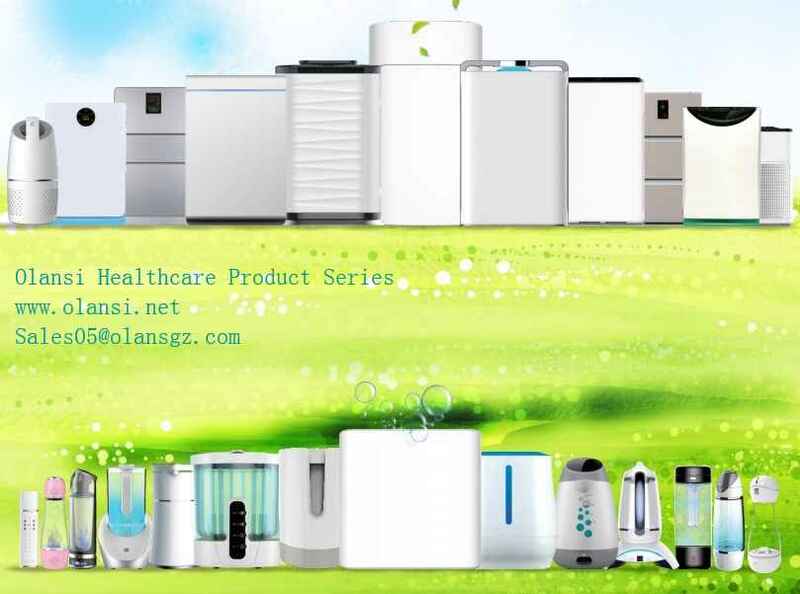 Olansi Healthcare Co., Ltd/Guangzhou Olansi Water Treatment Equipment Co., Ltd is a professional air manufacturer locates in Guangzhou City , we do OEM business. Welcome Heath Care Product wholeseller,retailer,importer, agent, dealer to visit us for cooperation. The footwork of spring has come, can summer be far behind? In summer, the weather is so hot that we almost have to close the Windows and turn on the air conditioner to cool down indoors. We know that the elderly, pregnant women, infants and children are relatively weak resistance to the crowd, but indoor ventilation for a long time, poor air quality is worrying, whether indoor or outdoor, healthy breathing is particularly important. According to the research report, carbon particles in PM2.5 have a significant damaging effect on the first pregnancy and pregnancy. The haze contains a large number of particulate pollutants such as PM2.5, which can cause various diseases of respiratory tract when inhaled, especially mothers, infants and the elderly are more vulnerable. Many pregnant women, the elderly, children in order to breathe more fresh air, bask in the sun, go for a walk, do some exercise. But sometimes will encounter fog haze days, outdoor air pollution is serious, but under, had to go home “hide”, do not dare to go out. Outdoor sports reduction means the increase of indoor activities, outdoor air pollution serious weather lead to reduce the number of open a window ventilated, indoor activities, in which exhaust, furniture sends out the harmful gas, cooking frying cannot discharge in time, such as fresh air without timely input, indoor air circulation, the indoor air quality is poor. In the air pollution serious indoor people prone to dizziness, vomiting and other symptoms, and may even cause respiratory diseases. It is especially important to keep the indoor air fresh and provide a good breathing environment for the family. So how to solve indoor air pollution? At this time, you need a household air purifier to help. 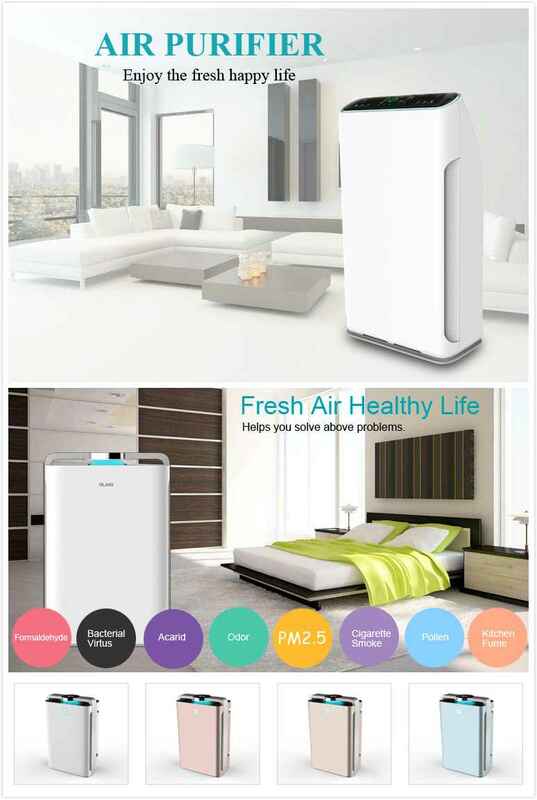 Indoor household air purifier can not only remove smog particles such as PM2.5, but also dust and odor, etc. ; it can also decompose harmful gases such as formaldehyde and benzene. It is a good choice to provide a healthy breathing environment for your family and to care for your family’s health. Especially in the midsummer season, the weather is hot, the air conditioner is turned on, the ventilation is less, the air is not circulating, and the exhaust gas in the home cannot be discharged in time. At this time, the household air purifier can play a significant role in purifying the indoor air. Friends, let’s start with basic healthy breathing! 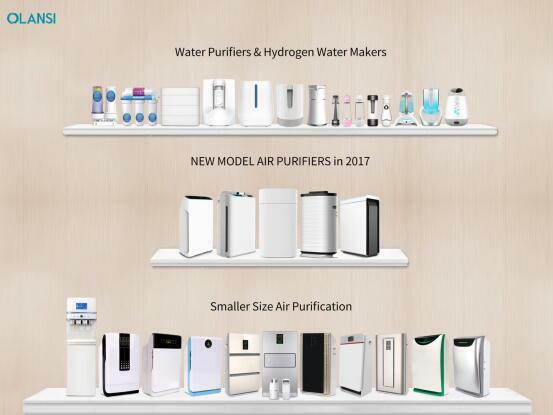 Guangzhou Olansi Water Treatment Equipment Co. Ltd is a professional manufacturer and exporter of Air purifiers, Hydrogen water machine,Water purifiers, disinfectant water generator and related healthcare products. We own a powerful R&D team with highly qualified designers and engineers , which annually launch many new models. we provide our customers with OEM and ODM services. Most our air purifier models are with HEPA filter, UV sterilizer, negative ion and intelligent auto processing. For OEM order we have professional designer to help with logo and packaging. We have own filter workshop for well quality controlling . It is common knowledge that life cannot go on without breathing. However, the smog attacks, sandstorms, excessive ozone…… I do not know when the rise of such news, healthy reathing has become a luxury. So, can you stay inside and breathe safely? That is not the case. With the continuous improvement of people’s requirements for indoor air, air purifiers have become one of the fastest growing household appliances in recent years. Related data show that people spend 90% of the year indoors, and nearly half of the world’s people are exposed to indoor air pollution. An excellent indoor air purifier will effectively improve people’s breathing quality. Today Olansi Healthcare will evaluate the air purifier to see if it is really useful! There is a light strip on the front of this air purifier. It will change the color according to the change of air quality. When the air quality is poor, the light strip is red. When the air quality is poor, it is orange. When the air quality is good, it is green. 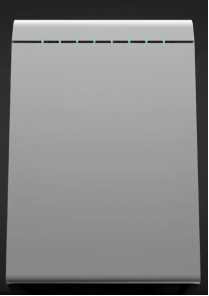 Very Simple and intuitive. It is also equipped with an intelligent system that automatically adjusts the wind speed based on changes in air quality. This air purifier mainly purifies the air by combining active and passive. 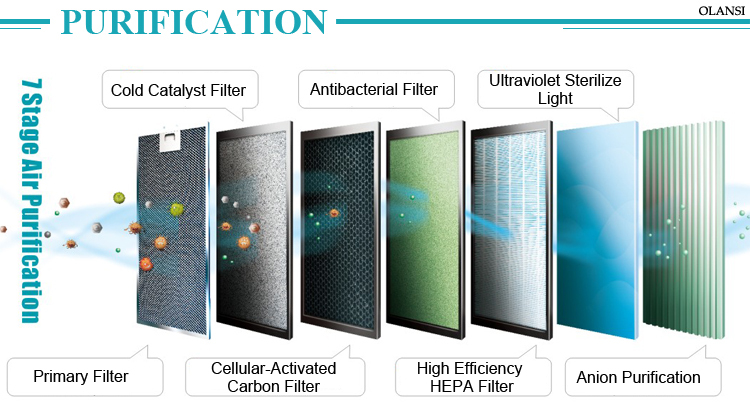 It uses cold catalyst filtration, honeycomb activated carbon filtration, sterilization cotton filtration, HEPA high efficiency filtration, negative ions, ultraviolet rays and other purification methods to purify the air. Among them, the functions of child lock and automatic power off also ensure the safety of home appliances and are suitable for general household use. Surprisingly, this air purifier also comes with a fragrance box, you can choose your favorite aroma to put in, clean the air and make the environment a pleasant fragrance. The evaluation selected a new room. The house has been renovated and ventilated for a period of half a year, and the living room is about 30m2, which is suitable for the applicable area of the Olans air purifier. 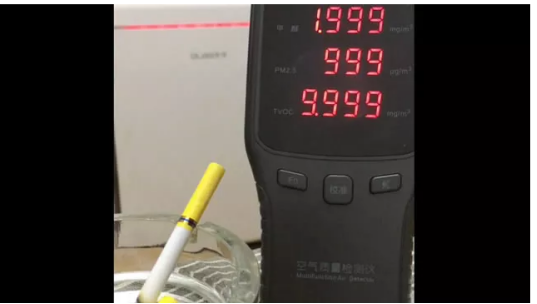 When the air quality testing instrument is in the environment of second-hand smoke, the indicators suddenly soared, even breaking the test value of the instrument. After running for half an hour, the indicators decreased significantly. At the same time, when the flue gas is purified, the air value is basically stable during the period of 85-105. That is to say, from severe pollution to mild pollution, the Olans air purifier takes less than half an hour. 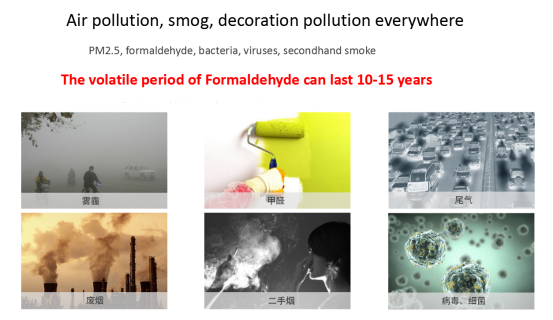 According to the relevant standards, the formaldehyde concentration per cubic meter should not exceed 0.10mg, TVOC (total volatile organic matter) should not exceed 0.5mg, when the PM2.5 value is in the range of 0~35, the air quality is excellent, 35~75 is good, 75 ~115 is mild pollution, 115~150 moderate pollution, 150~250 heavy pollution, and 250 and above are serious pollution (24 hour PM2.5 average standard). After observation, it was found that after the Olansi K07 air purifier was turned on for one hour, the indoor air quality was basically stable at around 70, that is, the quality of the air was achieved, and the effect was very obvious. Check the performance parameters of the Olansi air purifier K07. For most families, this is the most intuitive criterion for judging whether an air purifier is qualified. When the machine is running at low speed, the noise is less than 29.5 decibels. The relevant data shows that it is almost 10-20 decibels. 20 to 40 decibels, equivalent to talking softly. 40 to 60 decibels, equivalent to ordinary indoor conversation. It is not difficult to find through comparison that Olansi air purifier has reached the “low noise” standard and will not affect the rest of the family. Recently, a website was invited to answer such a question: Can air purifiers improve sleep quality? The questioner said that it was difficult to fall asleep before, but after using an air purifier, he could fall asleep faster. What is the reason? In fact, there are probably two reasons for this sleep quality difference. Psychological research reveals that experiencing the natural environment can bring some positive effects to people, which also explains why people can feel relaxed and happy and fall asleep easily on rainy days, or by listening to the wind, water and birds singing in nature.Air purifiers can not only purify all kinds of pollutants in indoor air,including PM2.5, formaldehyde and viruses, but also help to create a safe sleep environment.Still can imitate to give nature to change gold on certain level, pass release anion, stimulative person and bedroom are harmonious, make people get good morpheus in proper environment thereby. 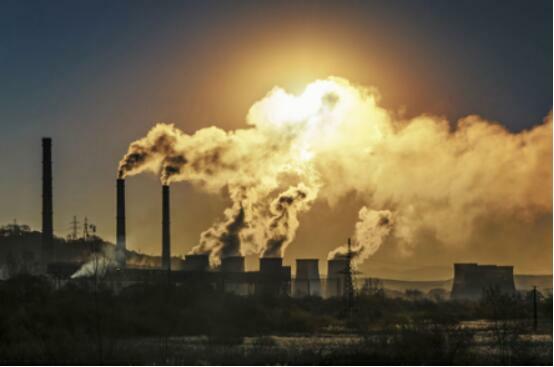 According to the US environmental protection agency, 68 per cent of human diseases are caused by air pollution. 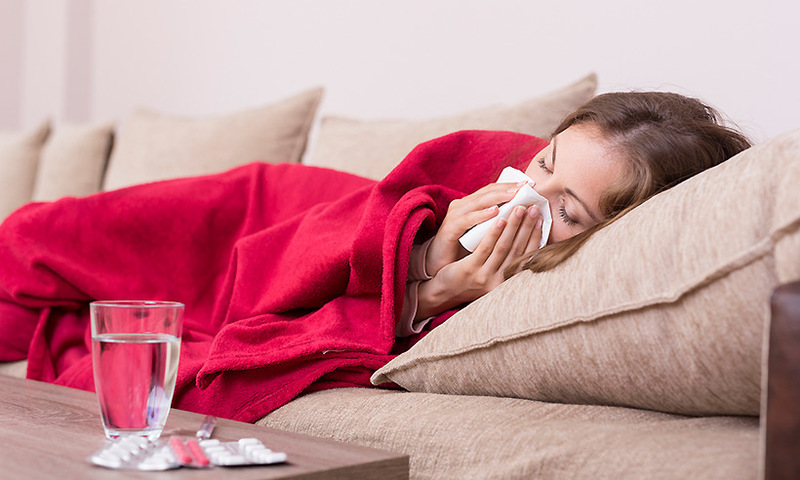 When the person is in morpheus, immune system is in the lowest position, at this moment virus, bacterium and harmful material can enter more easily, invade and injure human body. In addition, the harvard school of public health study found that air pollutants can stimulate the central nervous system and cause upper respiratory tract infections, which aggravate sleep breathing disorders, causing apnea and hypoxia.Especially in the summer when the pollution is more serious, this situation is particularly prominent. But not all air purifiers can help you sleep. 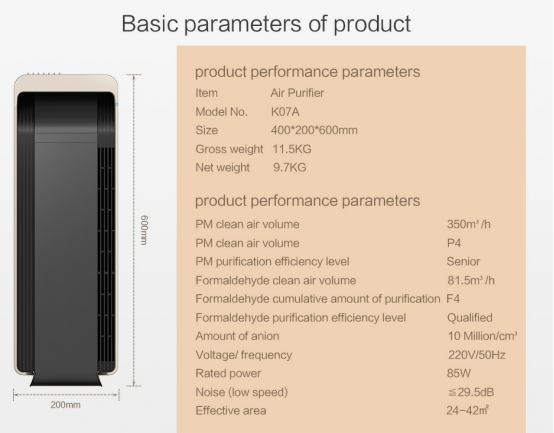 As anyone who has bought an air purifier knows, CADR value is the core performance index of air purifier. When searching for air purifier products, we can always see merchants promoting “high air volume” and “high CADR”. However, after you buy it, you may find: on a smoggy day, if you turn on the air purifier, your throat will itch and ache the next day, and the indoor PM2.5 concentration is still very high? In fact, this is because most of the big cadrs advertised by businesses are the loudest and most upscale.But! The commonly used gear of air purifier is the sleep gear with the lowest wind speed. In this case, in order to control noise, CADR value is generally not high and the purification efficiency is low.Our country civil building has strict take a breath standard, although close door window, indoor also is not airtight, cannot isolate completely outdoor polluted air. 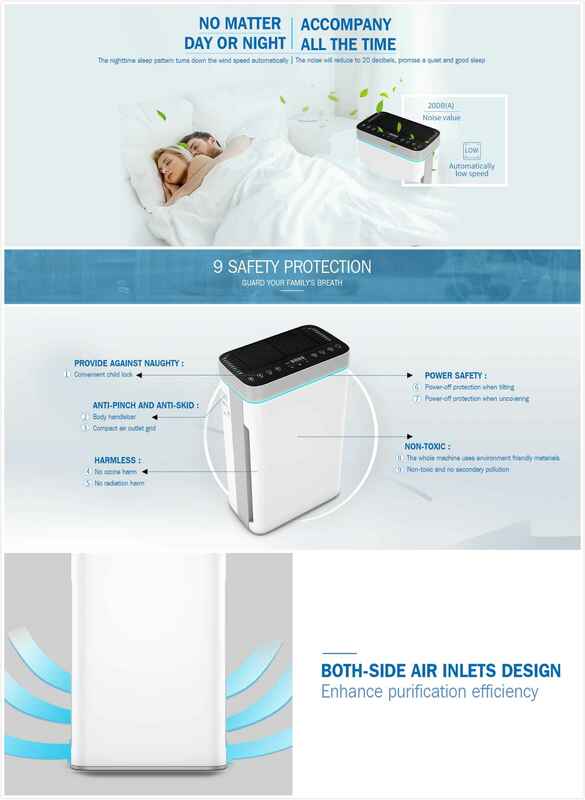 When the air purifier is turned on in sleep mode at night, due to actual use scenarios such as air leakage in the bedroom and excessively low CADR value, the room often has no significant purification effect. 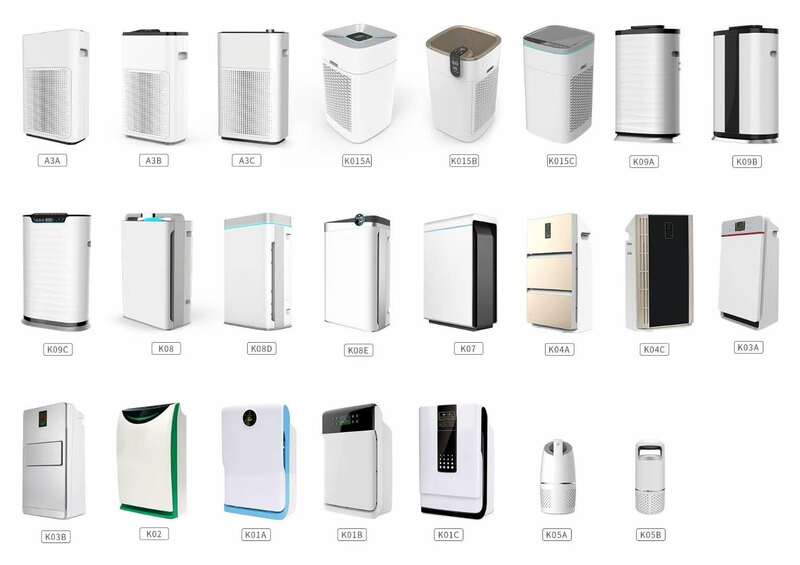 According to the formula S=(0.07~0.12)Q (Q refers to CADR), the lower the value of CADR, the smaller the applicable area.And the reason why air purifiers don’t work is precisely because you often use them in a space larger than the usable floor area, making them a decoration. According to data,Olansi New Air purifier K08D ,9 minutes to purify 20 ㎡ room at a time, Its PM2.5 removal rate reach 95.3% in 20 minutes. 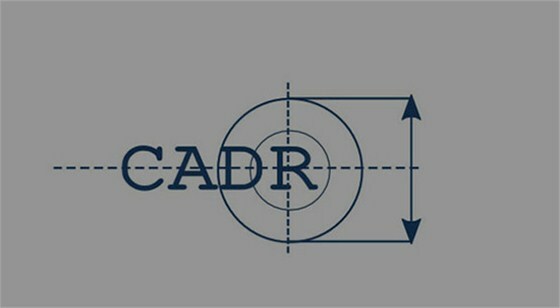 Largest CADR 488 m³ and app area is can reach 58㎡. its lowest noise of sleep mode is 38db and the CADR under this mode reach 235m³/h. 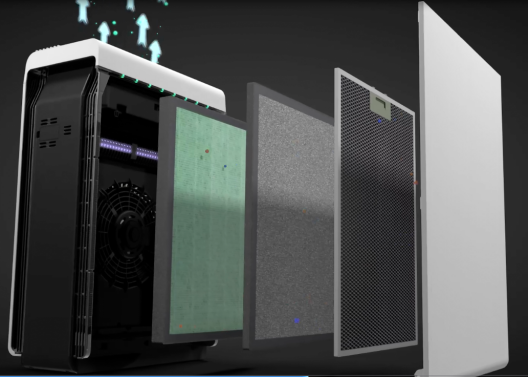 the data set represents that it can achieve the performance that many air purifiers can achieve at the lowest wind speed at the high-end wind speed, the performance is good. With such powerful functions, I believe it can improve people’s sleep quality. 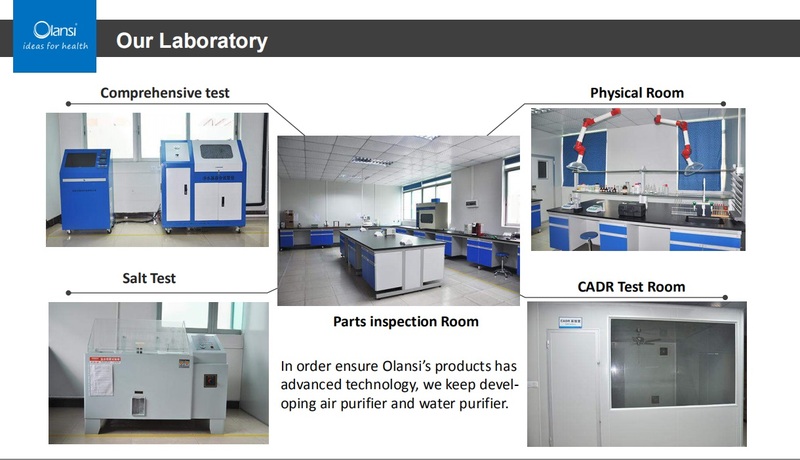 Olansi Health Care is a professional air purifier manufacturer locates in Guangzhou, China, mainly focus OEMand ODM of household air purifier and water purifier, ddevelop new series every year and has own mold injection workshop and national standard lab. 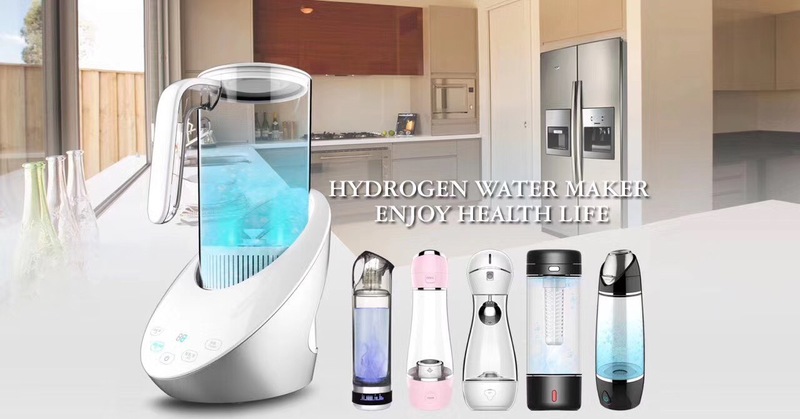 With the worsening of the environment, air purifiers have gradually entered the home, and become the essential products after refrigerators, televisions and air conditioners. Unlike other home appliance industry, as a new industry, the air purification industry is relatively chaotic due to the lack of a comprehensive system of industry norms. There are varieties of chaos: shoddy, exaggerated functions, price gouging. All sorts of chaos falls, rights and interests suffers the most serious should belong to consumer. 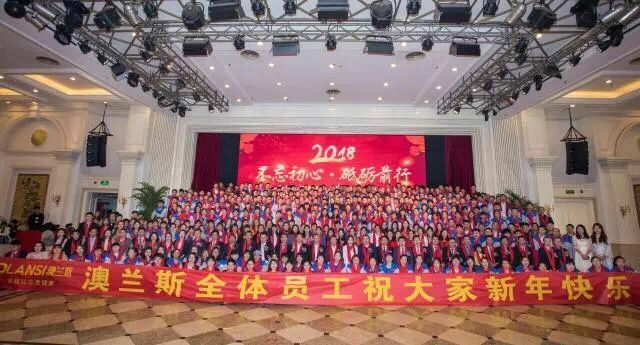 In order to protect the legitimate rights and interests of consumers and further regulate the market, the first mandatory standards for air purification industry came into effect in 2016. In order to facilitate memorization, some people specially extract its essence, namely the so-called “three high and one low”. Olansi healthcare will explain you what are they. As the first mandatory standard in the purification industry, it puts forward four core performance indicators: CADR (clean air output), CCM (cumulative purification amount), purification efficiency and noise. The so-called three high and one low are high CADR, high CCM, high purification efficiency and low noise. 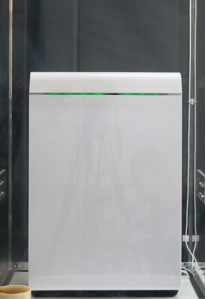 CADR (clean air volume), expressed in cubic meters of air that can be purified per unit of time, directly reflects the actual performance of the purifier. 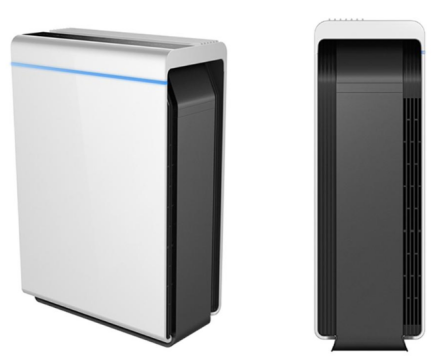 The higher CADR air purifier has, the stronger the purification capacity. However, higher CADR value does not mean better. The selection of CADR value should be reasonable according to the indoor living area, so as to avoid the unsatisfactory purification effect caused by small machine big room or the power waste caused by bigger machine small room. Big CADR machine used in small room besides cause the excessive consumption of electric quantity, the purifier that can send out ion still can release ion too much and affect family health. How to choose a suitable CADR according to the size of the room? Here is a decision: (0.07~0.12)*CADR= usable area. Special attention should be paid to the fact that CADR of particulate matter is different from that of harmful gases, and CADR of particulate matter is higher than that of harmful gases. CCM (cumulative amount of purification) is a parameter reflecting the service life of filter screen of the purifier. The larger the value is, the longer the service life of filter screen is, and the lower the replacement frequency is. It is a cost performance index of the product. If CADR is a measure of how fast you can go, CCM is a measure of how far you can go, so CCM is an important indicator that can’t be ignored. 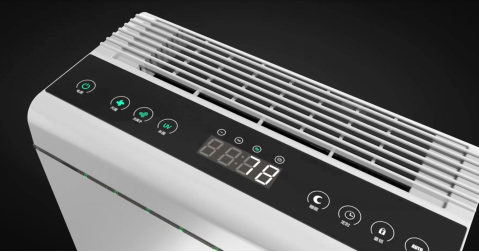 Purification efficiency, the amount of clean air per unit power consumption of an air purifier (CADR to rated power), is a measure of power consumption. 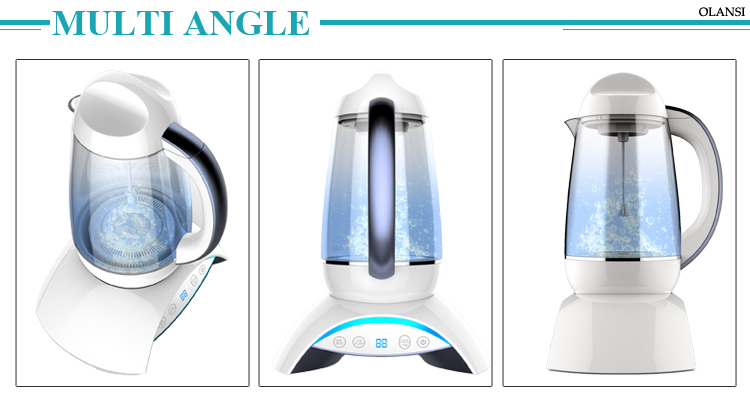 In general, a higher value indicates that the purifier has both energy saving and purification effect. Need special attention here is that the particles of purification efficiency level division and the purification efficiency of formaldehyde level division standard is different, so cannot treat as the same, the specific energy efficiency level is defined as: particulate matter numerical grade 2 for qualified, the purification efficiency of 5 for the high level, and the purification efficiency such as formaldehyde, 0.5 for qualified level 1 is the efficient level. Noise, the indicator that affects the purifier product experience, noise is definitely the lower the better. How to determine the performance index of the purifier mainly depends on the value in two states, one is in the working mode and the other is in the sleep mode. Among them, the noise in working mode with less than 50 decibels is better, sleep mode with less than 30 decibels of the product is better. It would be better to choose a product based on a more thorough understanding of the criteria.